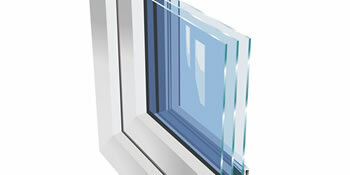 For those looking for the ultimate in energy efficiency, triple glazing is your answer. There are two main reasons to replace windows; to increase efficiency and improve aesthetic appeal. Triple glazing can solve both issues in one swoop. Triple glazing can be combined with any frame material, including the popular options of uPVC, aluminium and wood. However, if it’s energy efficiency at a cheaper price you’re looking for, consider uPVC as your frame material. Not only is it the cheapest product on the market whilst offering the best in energy efficiency, but it’s possible to have the material coloured to resemble the aesthetic appeal of wood. This is the most important feature of triple glazed windows – they’ll reduce home energy bills. With triple glazing units installed, heat is retained in the property because of three panes, each separated by an energy efficient spacer. As your home is warmer, they’ll be no reason to up the thermostat, reducing bills in the process. Condensation can have a damaging effect to both curtains and window frames, something triple glazing helps to eliminate. Condensation forms when warm air on the inside meets a cold surface, allowing the moisture to settle. With triple glazing the inner pane will remain warm, leaving the moisture nowhere to land. In line with energy bill reductions, triple glazing will also help the environment by cutting carbon dioxide emissions. As your home is warmer you’ll need to produce less heat, which will cut the amount of carbon created. The less carbon in the atmosphere, the reduced effect global warming will have. Triple glazing is one of the most effective ways to keep your home energy efficient and reduce heating bills. To start taking advantage of what the technology has to offer and spend less money on home heating every year, complete our quick form and receive up to four FREE quotes from local, vetted and reputable glazing companies. Thank you for the good customer service! Just put me in touch with a great company. The below data displays the energy performance of properties in Uk. Energy ratings range from A to G, with A being the most energy efficient and G being the very least efficient. The Energy Performance Certificate (EPC) rating comes into play heavily when attempting to sell your home, as prospective buyers will see what amount they're likely to be paying for their home heating bills. Property improvements including insulation help you to significantly boost a home's EPC rating. The information beneath indicates the various types of homes in Uk. By far the most commonplace properties throughout the United Kingdom are detached and semi-detached homes. Various other homes consist of terraced houses, flats, converted flats and bungalows. The data below offers an indication to the number of households in Uk which are central heated and non-central heated. Houses are heated by a variety of sources which indicate how pricey annual energy bills will probably be. Types of central heating include gas, electricity, oil, solid fuel and LPG boilers. Changing exactly how your house is heated could see you with cheaper bills. The data below displays the spread of households warmed by various fuels. Throughout the UK the most frequent by far and away are gas heated properties, followed by electricity and then oil. Biomass central heating boilers are also increasing in popularity, heated by renewable products including wooden pellets or agricultural waste.|Properties in Britain are heated by a variety of fuels, including gas, electricity, oil, solid fuel and LPG boilers. Each fuel has a varying cost associated with it and that means you can find yourself with less costly energy bills by changing the way your property is heated. Even solar thermal panels are being regarded as by many people as a way to lower heating bills for the years to come.